At VisionAmp Marketing, we want to help grow your business. Specializing in website design and web development, we can create a custom website, and make it work for you. Read the 5 Steps below to see how to make your website work for you. We have less than 10 seconds to capture the attention of your potential customer when they find your site. The best option is to have a definitive next step for your visitor. The ideal way to do this is through calls-to-action. 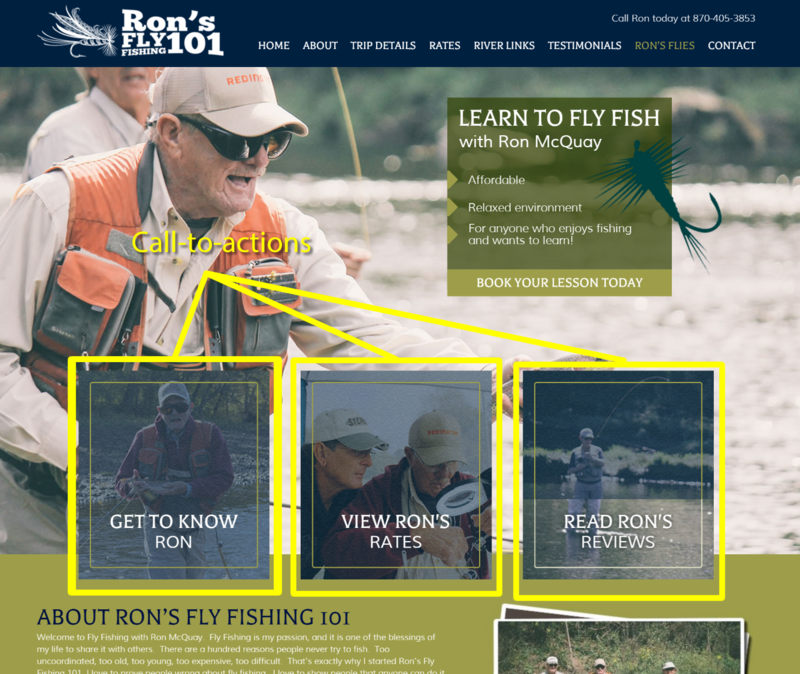 Calls-to-action are simply buttons or images that draw the visitor to click to book the trip, buy now, download the e-book, etc. These elements are crucial to guide the user to the next step in the sales process. We know that a website is not going to convert every visitor to a sale, however, we can plan to convert the ones who do not buy today into a warm lead. There are multiple ways to do this, including but not limited to, a digital download in exchange for some contact information. For example, regarding the real estate industry, you could create a free guide to buying a house. When the user provides an email address, you can send them the guide, and now you have a lead. A website should be treated like another sales person. What this means is, we need to have goals as well as a way to measure its performance so as to ensure its success. Ensure that you have adequate tracking in place, and perform a website analysis so you can determine whether or not your website is converting visitors to customers. Testing different calls-to-action, button colors, and verbiage on your website is essential to get it optimized and performing to its fullest potential. Not having enough content or not updating often are two of the top offenses on the web. In order for your website to be placed high on search engines and stay there, we need to be the authority in our respective industries by educating our buyers with relevant rich content that answers the questions visitors may have about your products or services. A blog is a great way to continually add content to your website.